Having a good beer is nice. Having a good beer with a great head is even better. The only problem is that the foamy layer that is on top of the beer can be unpredictable. Sometimes it is thick and luxurious. At other times, it looks like something that was dug up with a few dinosaur fossils. Why Do Some Beers Foam Better Than Others? A beer that is high in dextrin or protein will have a better foam because there is a better structure to the foam. These proteins, derived from malts, move upward because they are hydrophobic. There they can interact with tannins and other components of the beer and that creates the head. If you’re creating your own homebrew, you’ll want to choose a malt that can enhance your head for better results. Wheat malt is the most popular, but some crystal malts like Carafoam will also get the job done. Darker malts can improve foam stability as well, especially if they are rated high in melanoidin. Yet it isn’t just the quality of the beer that can ruin the great head that you’re expecting. There are several different factors which must be considered if you’re looking for a good beer with a great head. How Clean Is Your Barware? One of the most common reasons for a lack of head with beer is a dirty class. When your barware isn’t perfectly clean, the beer can interact with the remaining impurities and this lessens the quality of the head that is achieved. Any fats or oils that may be in the glass will further reduce the head, as will any oils or fats that may be on the bottle, tap, or keg. Human skin naturally sheds oils and fats. If you grab the inside of a glass and then pour over your fingerprint, that can be enough to give you lackluster foam. 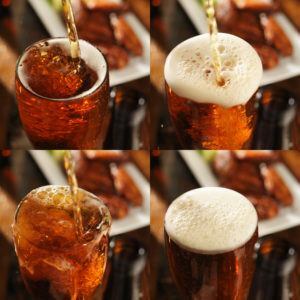 Here are some other ways to ensure that you can have better beer foam the next time you want to crack open a cold one. Use a mix of nitrogen and carbon dioxide instead of straight CO2. It will give your foam better stability. Make sure all your equipment is sanitized. Any impurities or contaminants, even within a hose, can be enough to stop the foam from properly forming. 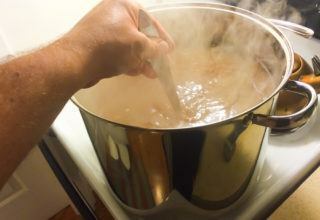 If you’re making homebrew, be sure to mash at a properly high temperature. Mashing when the temps are too low is the fastest way to ruin a great head. Try to use bittering hops with your homebrew. Even if you don’t get everything right, the hops are ultra-forgiving and can still provide you with a nice foam. Avoid sugars, rice, and corn at all costs. Always measure your priming sugar while working with a homebrew. 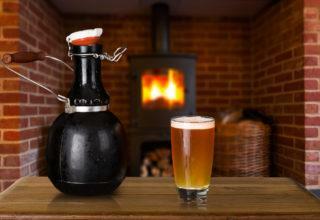 Make sure that you receive or serve the beer completely chilled. When your equipment is clean and your beer is properly made, the foam is going to happen. 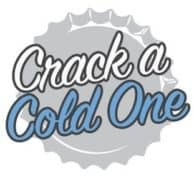 If you’re struggling to get a good beer with a great head at home, then you may need to upgrade to one of the best beer fridges for better temperature stability.